Although 30 Seconds To Mars have some undeniably epic tracks in their back catalogue, their career to date has always been based on following whichever trends happened to be culturally dominant at the time. From early 2000s alt-metal to emo, then alt-rock, and now electronic pop, derivative music with just enough idiosyncrasy to stand out from the pack has always been a 30 Seconds To Mars calling card. Don’t get me wrong – I like this band, but the hype around them often leads people to overstate their creative achievements. That said, you can’t fault 30 Seconds To Mars for being willing to get involved with political activism and being outspoken about current affairs and hot-button topics. This being their first post-Trump album, the tangerine baboon is a natural target for the first track on America – Walk On Water. It’s a good song, no doubt about it, but it’s slick, polished, and Auto-Tuned enough to just slide smoothly into a chart slot and sit there alongside the rest of the pop crowd. For all that’s good about America, it’s going to be impossible for long-time fans to listen past the oiled plastic and pay attention to what’s going on beneath. There are at least some hints of 30 Seconds To Mars’ rock ‘n’ roll roots buried in here – even an acoustic track in Remedy – but in 2018, relatively few people are going to have the patience to sift through America as if panning for gold, and then feel satisfied with what’s left in the sieve. For me, the stock guest rap vocal inserted into One Track Mind made me think of someone ticking an item off a checklist – although the searing guitar solo that followed did come close to making up for the disappointment. In clubs, tracks like Hail To The Victor will work perfectly – and live, I’m sure these songs will get the rock ‘n’ roll boost they desperately need on record. But as a listening experience, America might possibly have been intended to slip heavy politics under the mainstream’s radar in the style of Bob Dylan or Bob Marley, but hating Trump and pointing out America’s flaws is mainstream now. 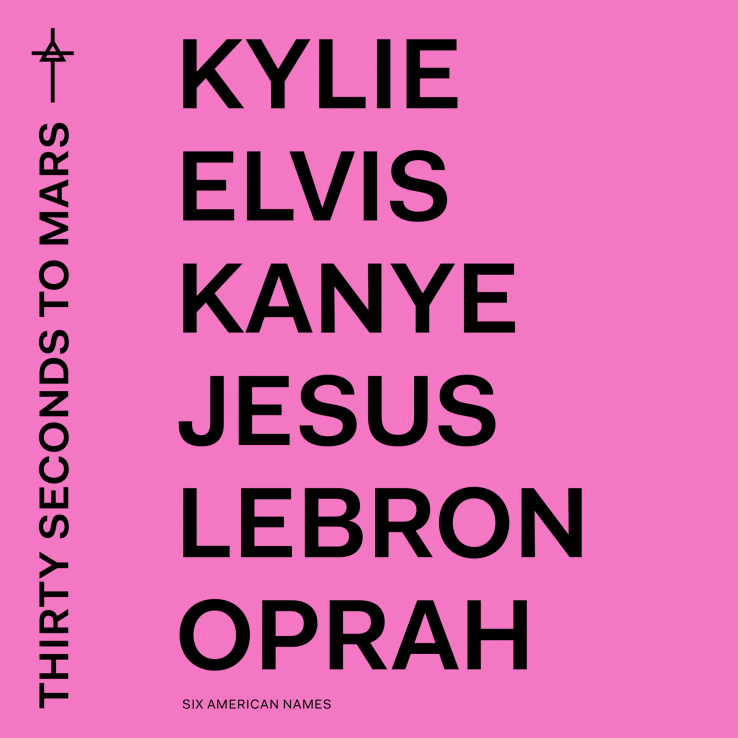 Pandering once again to the chart gods would feel like a sellout move at this point – but since 30 Seconds To Mars have always been about selling, levelling that accusation at this band would be like calling the sky blue. It’s always been obvious – but this time out, it’s more so than ever before. America is out now on iTunes.